At Mainz’s Saturday outdoor market, I found these little courgettes and I was instantly transported back to Arles, France, where I spent a summer during college. During that summer, I lived with a wonderful host family who loved teaching me about the language and culture of Southern France. 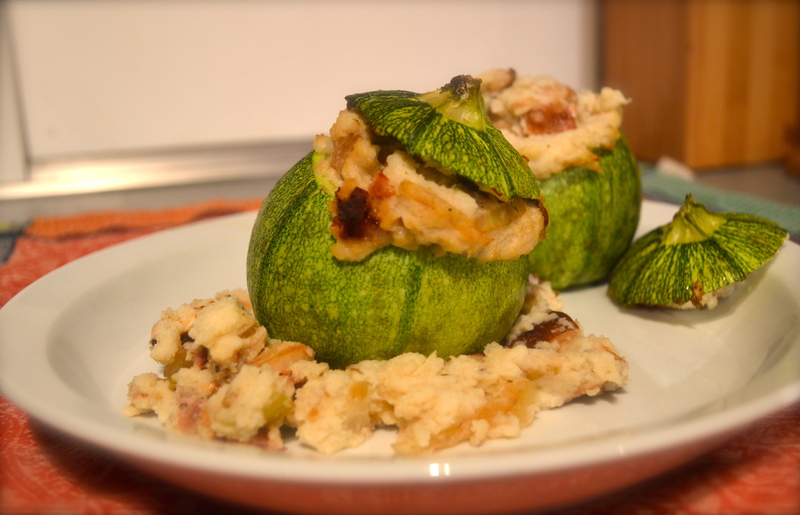 One night, they proudly served round courgettes (zucchini) stuffed with perfectly seasoned ground beef and vegetables. 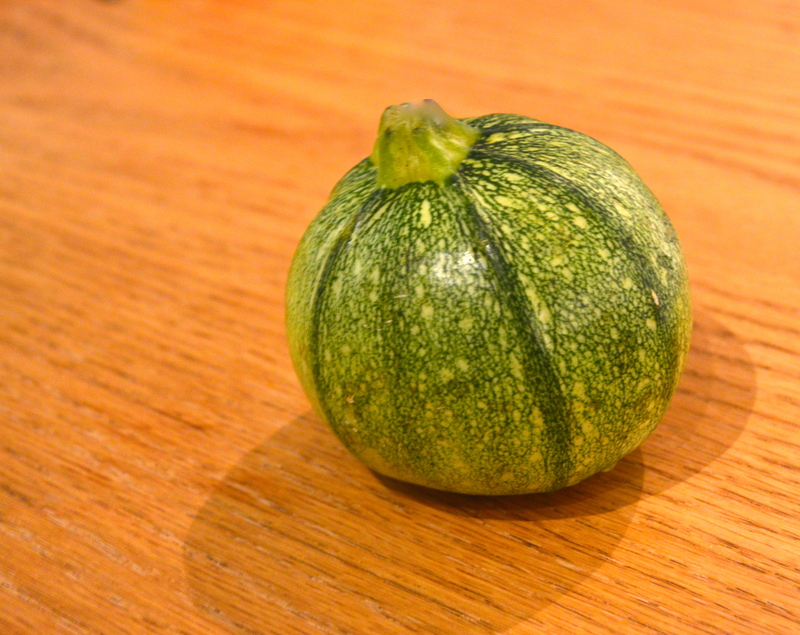 Both adorable and delicious, those little zucchinis remind me of warm summer nights with the Mistral blowing and the scent of lavender in the air. I have such fond memories of that summer and my host family, that I had to pick up some round courgettes and try my hand at them. Feeling in the mood for something a little less carnivorous than usual, I decided to stuff the vegetables with mashed cauliflower and sautéed onions and mushrooms…and some bacon. I hope you like them! Mushrooms – as many as you want. I used shiitake. 2. Follow this recipe to make the mashed cauliflower; however, instead of adding the curry powder, add garlic powder, oregano, cayenne pepper, and basil. The amount of each you use will depend on how large your cauliflower is and how much you like each spice. I rarely measure because I don’t have the patience, but I probably started with a tablespoon of each and then add more if I think it needs it. 3. Place a pan over medium heat and, when hot, add the bacon. 4. When the bacon is almost crispy, remove it from the pan and set it aside to let it cool. Once cool, chop it up into little pieces or crumble it. 5. In the same pan that you used for the bacon, add the garlic to the bacon grease. Once the garlic is fragrant, add the chopped onion and mushrooms (add some extra fat if you don’t have enough bacon grease remaining. I like to use coconut oil). Sauté the onion and mushrooms until the onion is translucent and the mushrooms are tender. 6. 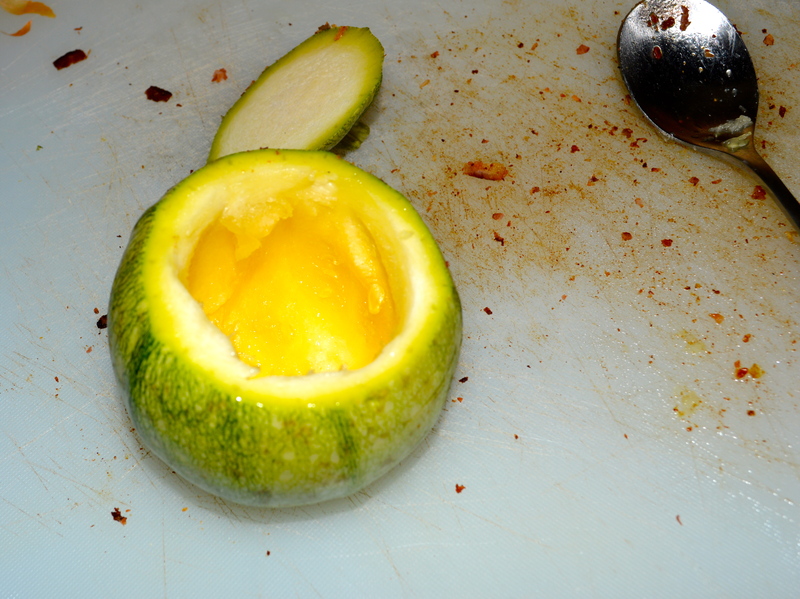 Cut off the top of the courgette and scoop out some of the flesh to make a bowl. 7. Add the scooped-out courgette to the cauliflower mash in the blender. 8. Add the cauliflower and bacon to the pan with with the onions and mushrooms and mix. 9. 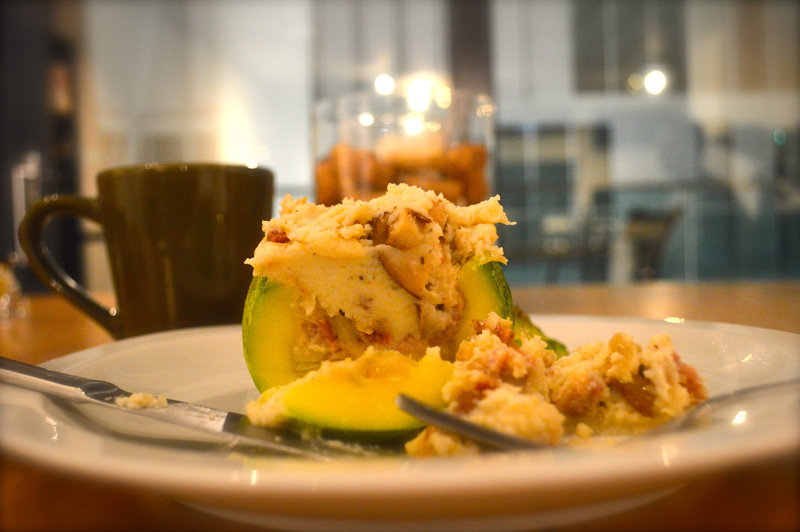 Scoop that mixture and stuff it in the courgettes. 10. 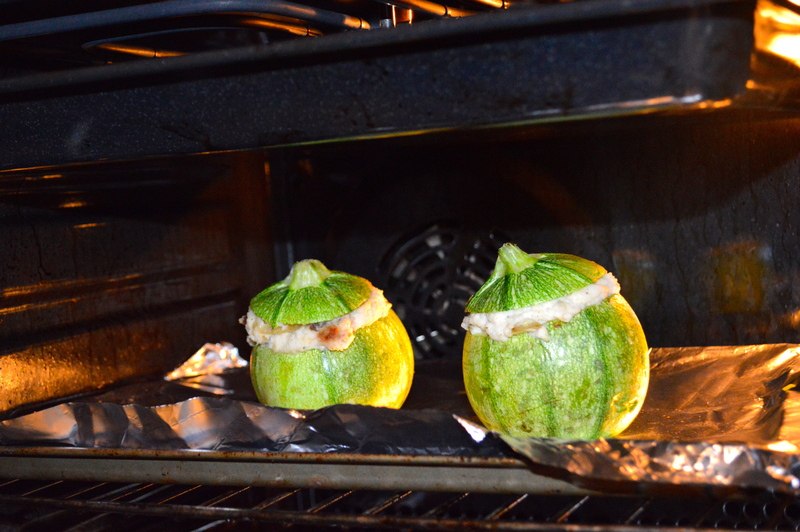 Place the courgette tops back on and stick them in the oven for about 20 minutes. Enjoy! If you have other suggestions of how to season the cauliflower, I’d love to hear them!